If you have a small, elevated lesion on the sclera, or white of your eye, you may be suffering from pterygium, also known as "surfer's eye." Pterygium occurs when a small growth forms on the sclera, and this condition may ultimately damage the cornea if left untreated. Pterygium is most common in middle-aged men who frequently spend time outdoors, although it can affect anyone. Expert ophthalmologist Dr. Michael Ahdoot provides comprehensive treatment to relieve patients of pterygium symptoms and potential complications at his Queens, NY, practice. Pterygium usually occurs near the center of the eye, on the side closest to the nose. When the condition affects both eyes, it is referred to as bilateral pterygium. These lesions are generally slow-growing and non-cancerous, and patients often experience no symptoms. 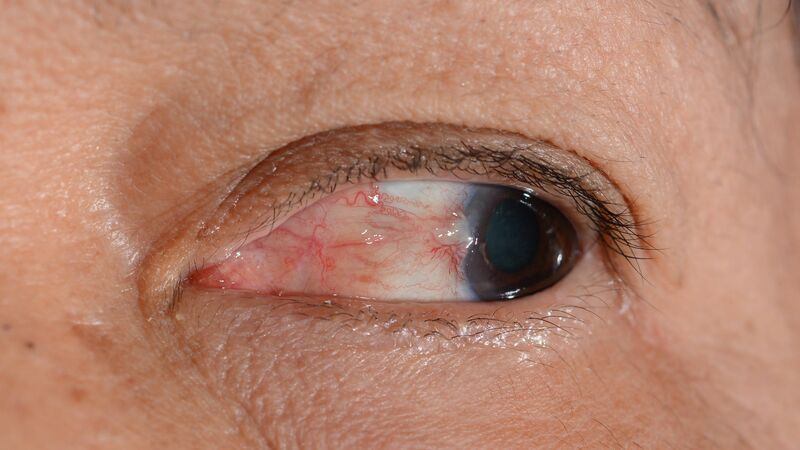 However, occasionally pterygium can grow onto the cornea and cause irreversible damage, including loss of vision. If you have pterygium, only a qualified professional can properly treat it. If you have asymptomatic pterygium, you may not need treatment, as some cases subside on their own. However, if you have pterygium that is causing you pain or affecting your vision, Dr. Ahdoot can develop a customized treatment plan for you to provide relief. If symptoms persist and interfere with your vision, Dr. Ahdoot may recommend an outpatient surgical procedure to remove the lesion. All surgeries carry some degree of risk, and the best way to minimize those risks is to select an excellent doctor. Dr. Ahdoot has the expertise and experience necessary to help you ensure a successful outcome. If you have pterygium that is causing you pain or affecting your vision, Dr. Ahdoot can develop a customized treatment plan for you to provide relief. The most common pterygium surgery utilizes a conjunctival graft (harvested from the surface tissue of your own eye) to place over the area where the pterygium was removed. The graft is applied using a special optical glue, and the entire procedure generally takes between 30 minutes and an hour. Following surgery, you will need to wear an eye patch for one to three days, and avoid swimming or rubbing your eyes. You can resume your normal routine about one week after surgery, with Dr. Ahdoot's approval. Many patients find post-operative relief from inflammation with steroidal eyedrops that we can provide. Without a conjunctival graft, pterygium recurrence rate can be as high as 50%. However, with a conjunctival graft, patients can look forward to a decreased rate of recurrence of just five to ten percent. You will need to regularly visit Dr. Ahdoot during the first year following your surgery to monitor your recovery and ensure that your results are maintained. Your vision is irreplaceable, and it is important to take action if you are suffering from pterygium so that a doctor can assess and diagnose your case. Dr. Ahdoot can expertly provide the care your eyes need. To learn more, or to schedule an appointment, contact our office today.